Active cruise control, a pre-collision safety system, seven airbags, and reversing camera are all standard across the three-model Corolla hatch range. 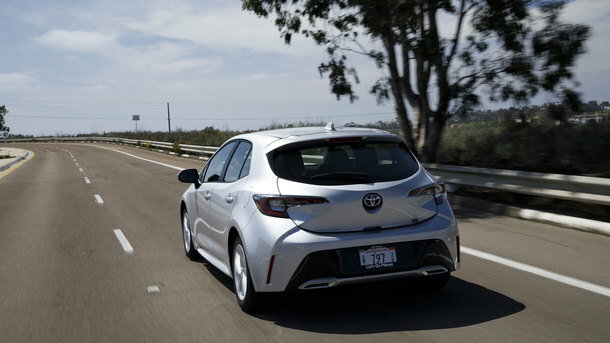 Toyota Australia vice-president sales and marketing Sean Hanley said the new generation model offers outstanding driver assistance technologies that significantly raise the safety bar. "The all-new Corolla hatch is set to make its mark as one of the safest small cars in its class with many of its standard advanced safety technologies usually only found on luxury or higher grade vehicles," Mr Hanley said. 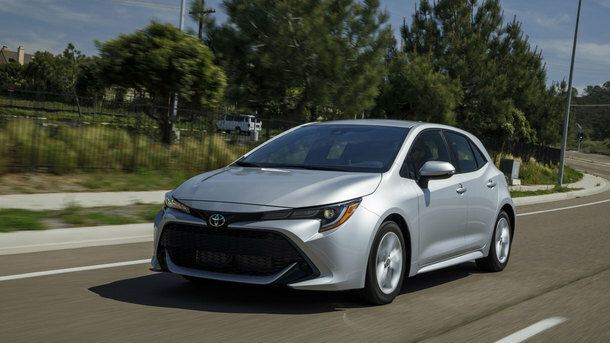 "But along with its new found stylish design and fun to drive attitude, we considered safety an absolute priority for the new Corolla hatch to ensure whatever market our customers are shopping in, they have the highest levels of protection and driver assistance possible." Using a system of cameras and other sensors to maintain a set distance to the car in front, the driver is able to set a cruising speed of between 30km/h and 180km/h with the system operating at all speeds down to a complete stop for CVT-equipped models. For the Ascent Sport fitted with the manual gearbox, the ACC operates at speeds above about 30km/h. All new Corolla hatch models are also fitted with a suite of advanced safety features to help avoid collisions including an active pre-collision safety (PCS) system with autonomous emergency braking and pedestrian and cyclist detection. If a potential collision is detected, the PCS system will initially employ a visual and audible warning, then brake assistance and if the driver fails to heed the warnings, full automatic braking to assist the driver to bring the car to a complete stop. If the car deviates from the lane unintentionally, the lane departure alert (LDA) will first issue an audible and visual warning before providing gentle steering assistance to encourage the driver to move back into the lane. It is designed to function on highways and freeways, but if the driver removes their hands from the steering wheel, they receive visual and audio warnings. Across the range, the new Corolla hatch offers further standard safety technology in the form of an automatic high beam system for the headlights and a road sign assist (RSA) system that is designed to recognise speed limit signs and displays them on the multi information display in the instrument cluster. Corolla SX and ZR models add a blind spot monitor (BSM) to the safety kit list with ZR also featuring head-up display. For improved safety and convenience when reversing, the new Corolla also comes standard with a rear-view camera with guidelines while for passive safety and occupant protection, all models include a total of seven airbags.